The lure of forbidden fruit is hard to resist. Isn’t it funny how much more we want things when, for whatever reason, we can’t have them? As a child, I was allergic to chocolate, which as a result made chocolate the most desirable flavor on earth. These Flourless Chocolate Cookies would have been irresistible for me! Whenever I ate chocolate, I would break out in itchy hives. It was very uncomfortable, but that didn’t stop me from sneaking a chocolate cookie, candy bar, or drink at every opportunity. At some point, I simultaneously out grew the allergy and my driving need for chocolate. I like chocolate now, but I don’t love it. My dear friend and long ago college roommate has always been an avid chocolate consumer. However, the year that she gave up chocolate for lent, her craving for chocolate became so great, we had to peel her off the store front windows of Godiva and Fanny May. She longed for the withheld confection. This Sunday night is the first night of Passover, the 8 day holiday commemorating the Jewish exodus from slavery in Egypt. Jews who observe the dietary traditions of Passover, abstain from eating grains (and anything made from those grains or any byproducts of those grains) and leavening. As a consequence, many people go into a frenzy of flour-free baking. Even people who rarely eat dessert, cookies, or cakes, suddenly feel compelled to make and/or eat all kinds of goodies. I have always been one of those frenzied Passover bakers. Not a surprise, as we have already established my tendency to crave anything I am told I can’t have. Some Passover desserts are made with special Passover ingredients, so are often only prepared during the holiday. Other recipes have regular ingredients and can a be eaten year round. 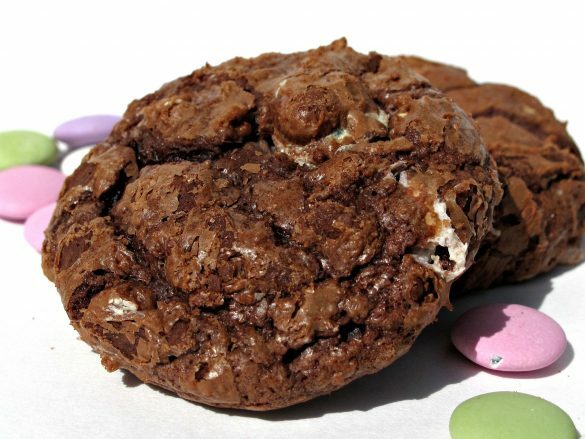 Though these Flourless Chocolate Cookies do qualify as kosher for Passover, they are delicious and should be baked by everyone all year long. 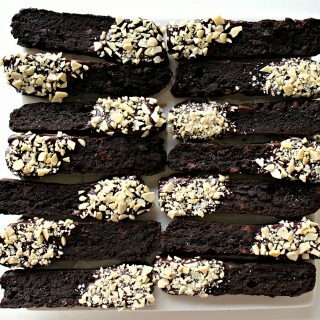 They are so rich and chocolaty, you will never notice the lack of flour. 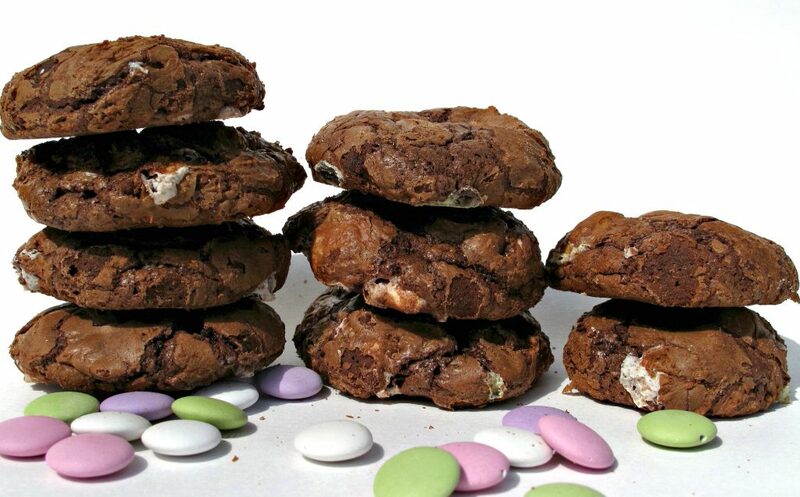 These fudgy cookies get their crunch from a generous helping of mint chocolate candies. I used mint chocolate lentils, but mint M&M’s would work great. If you aren’t a mint fan, you could even substitute plain m and m’s. 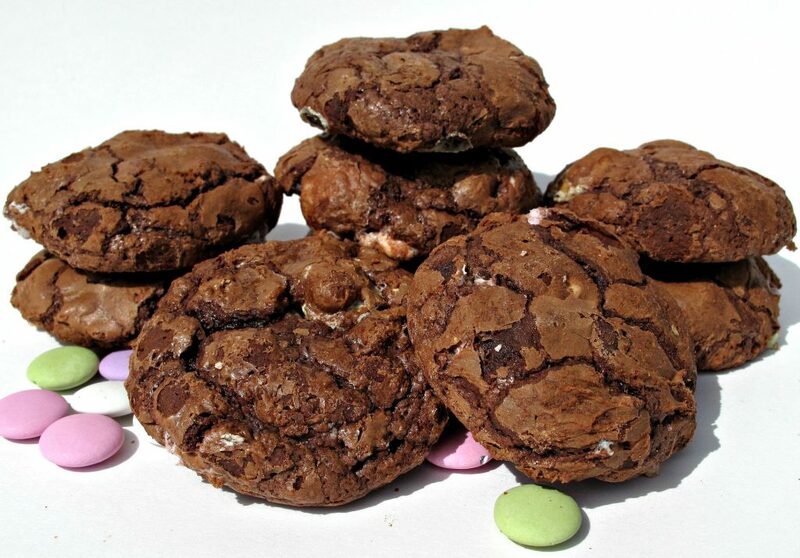 Leaving out the flour makes these cookies super chocolaty and chewy. 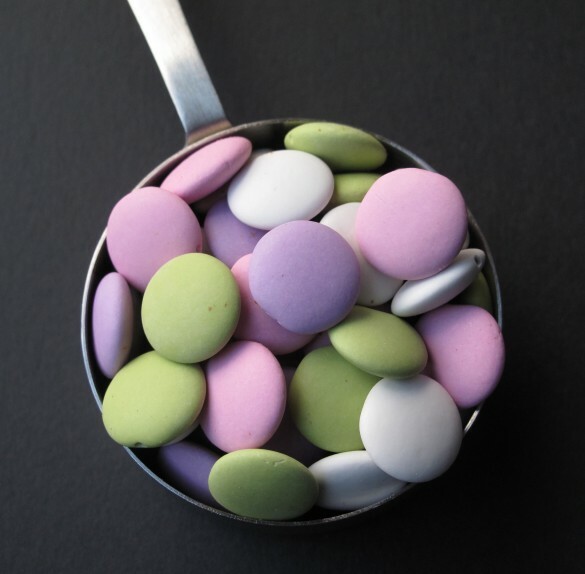 Add mint candies for a special flavor combination. 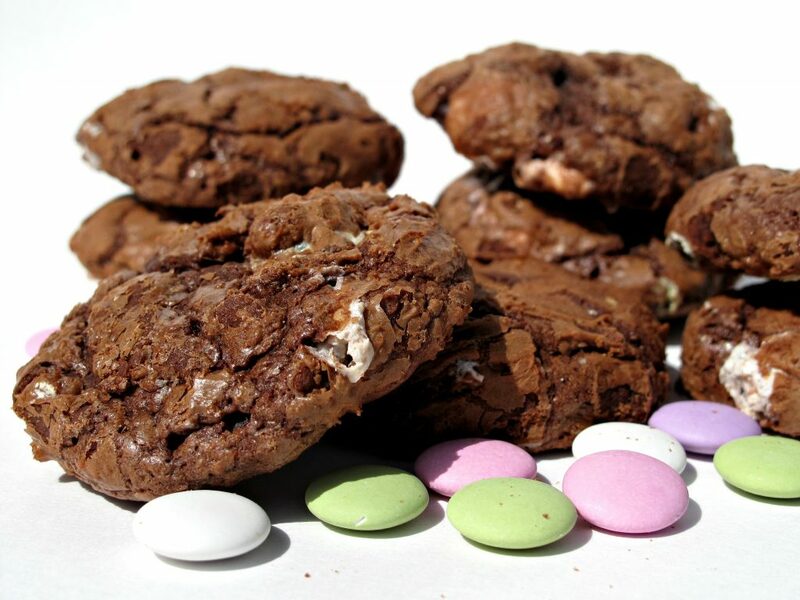 As an added bonus, Flourless Chocolate Cookies are Passover and gluten free friendly! In a small bowl, whisk together potato starch, baking powder (if using), and salt. Combine chocolate and oil in a microwave safe bowl. Microwave for 1 minute to melt. Remove from microwave and stir until all of the chocolate is melted and smooth. Set aside to cool. In a medium mixing bowl, whisk together the eggs, sugar and vanilla. Add the melted chocolate very slowly to the egg mixture, stirring continually to combine. Fold in the mint chocolate candies. Chill the dough until it is firm enough to scoop into balls, 2 hours to overnight. When ready to bake: Preheat oven to 350 degrees F. Line a baking sheet with parchment paper. Scoop tablespoon sized balls of dough and place 2” apart on prepared baking sheet. Bake for 12 minutes. Do not over bake or your cookies will lose their fudgy chew. Remove from oven and allow to cool on baking sheet for 10 minutes before transferring to wire cooling racks. When cookies are completely cool, store in airtight containers or zip lock bags at room temperature for at least one week. Use plastic wrap to double wrap pairs of cookies, with bottoms together. Place cookies in an airtight container or ziplock bag. Make sure there is no room for movement inside the container. They look delicious and what a clever idea to put crunchy candies in them! Thanks, Ada. 🙂 I really like the combination of the soft fudgy cookie with the crunch of the candy! So nice !! Well I’m looking for any Passover recipes and this is so welcomed ! Well I’ll post a perfect Passover chocolate cake that I baked every year on the blog. Stay tuned :). Hag sameakh !! Thanks, Sarah! These are some good cookies to add to your Passover baking. They are a favorite at my house. I am looking forward to your Passover chocolate cake! Hag sameach! These sound and look terrific! I could eat them any time of year 🙂 If there was a food, such as seafood, that I was allergic to I think I would cry! I can’t imagine having a food allergy and craving it, that would be tough! I can’t believe these are flourless – they look so fluffy! I think chilling the dough keeps them from going flat, Jenn. 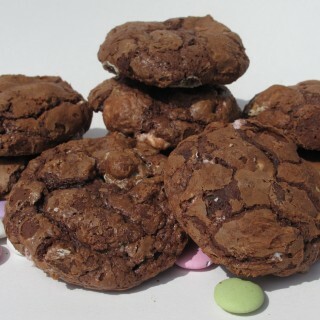 They are fudgy rather than fluffy with a crunch from the chocolate mints. Lol it sounds like your desire for chocolate arose from wanting something you couldn’t have. I’m glad you outgrew the allergy (if I couldn’t eat chocolate, I don’t think I’d have much of a will to live). These cookies are flourless?! They look so thick, chewy and perfect! You are right, Nancy. I think the only reason I craved chocolate was that I wasn’t supposed to be eating it. 🙂 These cookies surprised me also the first time I made them. We think that flourless means flat but as long as you chill this dough, the cookies are thick and chewy and perfect! Chocolate and mint are just ahhhhhhhhmazing together! I agree ,Ashley. I made these cookies without the mint and they were good but with the mint they are amazing! I’ve been thinking chocolate & mint and seems like a lot of people are too! I love it and as a chocoholic, I love these cookies! Alice Medrich knows chocolate so I’m sure this is awesome. They don’t look flourless at all and the sound of fudgy chocolate cookies with crunchy mint chocolates inside is a definite winner! Thanks, Monica! Alice Medrich is definitely a reliable chocolate resource! I’m not always a chocolate mint person but the mint here makes the cookies. Those look fantastic! My husband is allergic to chocolate and so I try to minimize how much I bake with it, and I think that does make me crave it more. 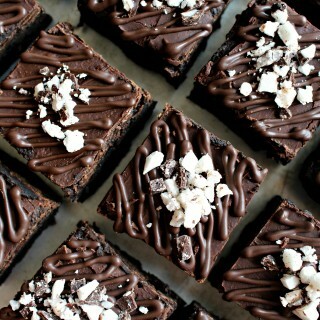 They look so fudgy and delicious. They really are surprisingly fudgy and delicious, Barbara! Oh my gosh, I don’t know what I would do if I was allergic to chocolate!! 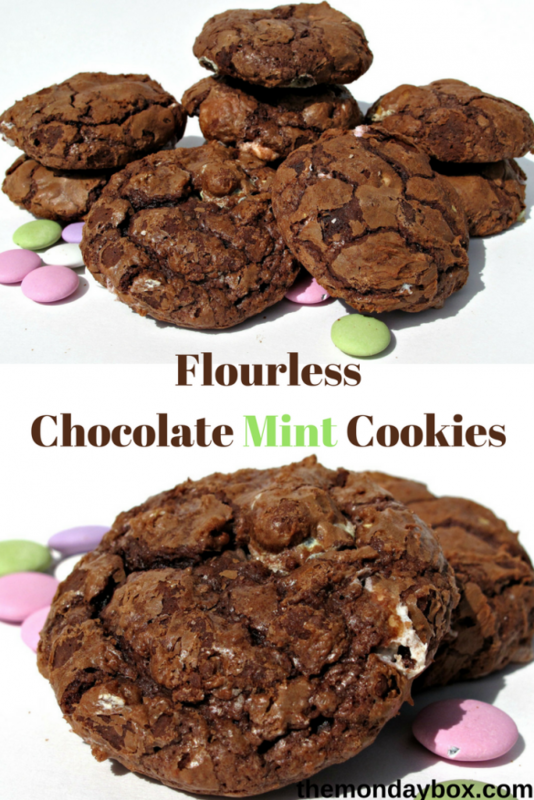 These look so fudgy and awesome of course : ) And mint always pairs so well with chocolate. I may have to make these for my sister for Easter – she would love them! 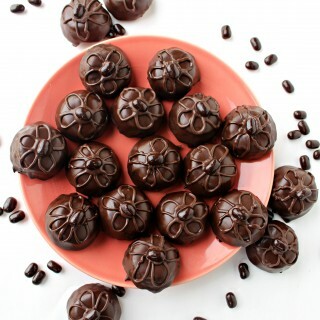 I think if you were allergic to chocolate, Ashley, you would spend a lot of time craving chocolate! Luckily, you can just enjoy it with out any consequences. 🙂 If you end up making them, please let me know how your sister likes them! Happy Easter. Honestly, Jess, they would be great for everyone at your Easter celebration. Find out which Easter candy is gluten free and pop it into the recipe for crunch. Its the crunch that I think is more important then the mint, though both would be ideal. Let me know if your nana likes them! I really don’t know what I would do if I found out I was allergic to chocolate…other than cry! These cookies look so decadent and fudgey!!!! And I love the candies in them! What decadent cookies! They look super fudgy and so pretty with those pastel candies in them! Very festive. Thanks, Reeni! 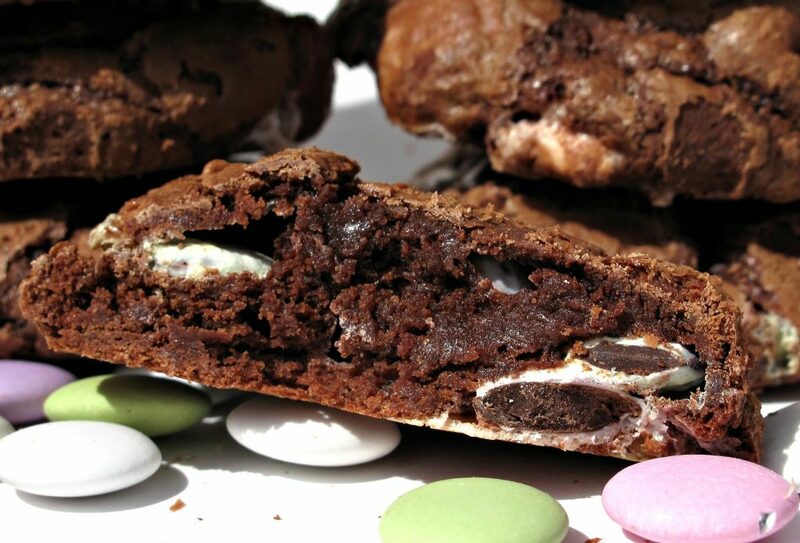 These are fudgy cookies and I think they would be festive for any day of the week! These look amazing! Love the chocolate mint candies inside! Their wrinkled texture is perfect too! Thank you, Zerrin! 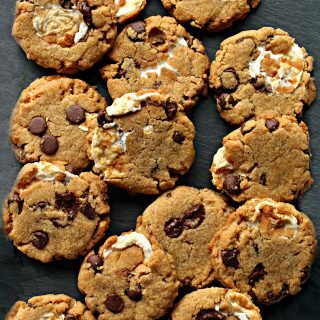 They are great cookies in flavor and texture. 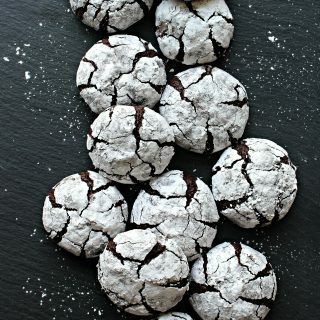 Though I know that cookies seem to be most popular in the US, I would love to learn some Turkish cookie recipes. Do you plan to share any? These cookies look really delish! I love the flourless touch. They look like quite the treat! You`re allergic to chocolate? I`m sure you hear this often. LOL. These cookies look fantastic! Thanks, Lynna! Luckily, I grew out of my childhood allergy to chocolate but nuts make be unable to breathe. Not a good thing, so I am phobic about avoiding them! I saw these on Pinterest and decided to make them for Passover this year. OMG, they are so good! My family absolutely raved about them. Thanks for this wonderful recipe. I am so glad you and your family enjoyed the cookies, Ilana! They are a favorite at my house too. 🙂 Thanks for taking the time to let me know! Happy Passover! These look great! 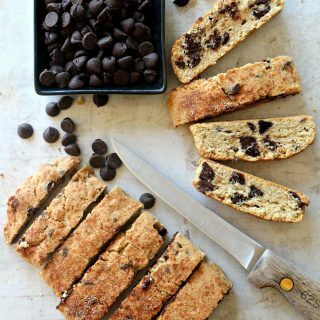 My husband and kids all have celiac disease, so I am always on the look out for flourless recipes that are great, and not just edible. Thanks, for sharing this one! It is funny how we always want what we can’t have – but how challenging to be allergic to chocolate as a child! I love these gorgeous, fudgy cookies, Wendy. They really do look so rich and tasty, and they are definitely one of my favourite flavour combinations – chocolate and mint. I don’t eat a lot of chocolate either, but when I do, I go for something rich and amazing like this! Shared on our Hearth and Soul Facebook page. Thank you so much for being a part of Hearth and Soul. You are right, April. Having to avoid any food that is so common can be a challenge. I think my daughter has a much more difficult time with needing to eat gluten free! That’s why I try to include gluten free recipes on The Monday Box every now and then! 🙂 Thank you for all you do with Hearth and Soul! I enjoy being a part of it! Thank you, Kelly Lynn! 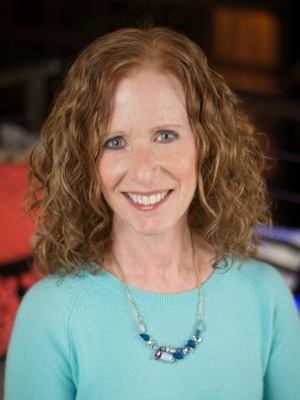 So many great ideas on Reader Tip Tuesday Link Party! I am delighted you found The Monday Box! These look so good – I see them with a glass of cold milk! Thanks for sharing at the What’s for Dinner party!